"There are six qualifications for surrender. The first is that one should accept everything favorable for the discharge of one’s duties in devotional service, and one should be determined to accept the process. The second is that one should give up everything that is unfavorable for the discharge of devotional service, and one should be determined to give it all up. Thirdly, one should be convinced that only Kṛṣṇa can protect him and should have full faith that the Lord will give that protection. An impersonalist thinks that his actual identity is in being one with Kṛṣṇa, but a devotee does not destroy his identity in this way. He lives with full faith that Kṛṣṇa will kindly protect him in all respects. 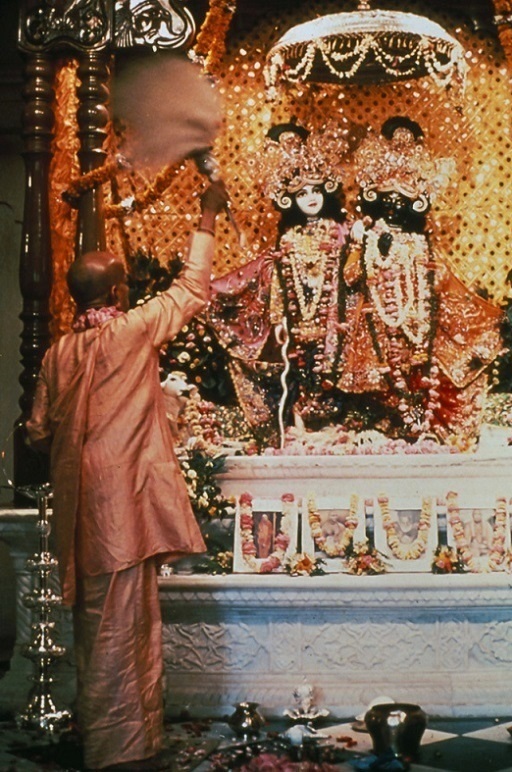 Fourthly, a devotee should always accept Kṛṣṇa as his maintainer. Those who are interested in the fruits of activities generally expect protection from the demigods, but a devotee of Kṛṣṇa does not look to any demigod for protection. He is fully convinced that Kṛṣṇa will protect him from all kinds of unfavorable conditions. Fifthly, a devotee is always conscious that he is not independent in fulfilling his desires; unless Kṛṣṇa fulfills them, they cannot be fulfilled. Lastly, one should always think of himself as most fallen so that Kṛṣṇa will take care of him. Such a surrendered soul should take shelter of a holy place like Vṛndāvana, Mathurā, Dvārakā or Māyāpur and should surrender himself unto the Lord, saying, 'My Lord, from today I am Yours. You can protect me or kill me as You like.' When a devotee takes shelter of Kṛṣṇa in such a way, Kṛṣṇa is so grateful that He accepts him and gives him all kinds of protection. This is confirmed in Śrīmad-Bhāgavatam (11.29.34), where it is said that if a person who is about to die takes full shelter of the Supreme Lord and places himself fully under His care, he actually attains immortality at that time and becomes eligible to associate with the Supreme Lord and enjoy transcendental bliss."